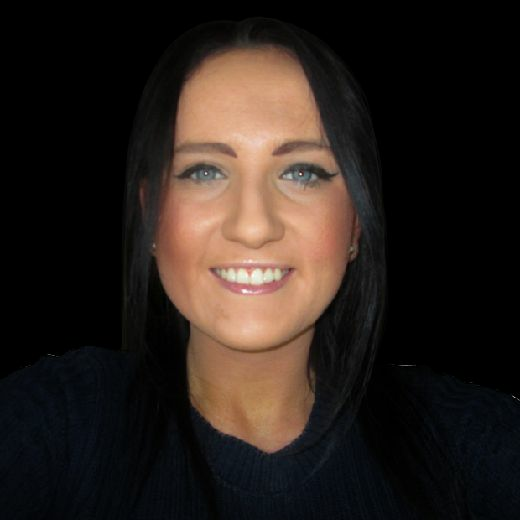 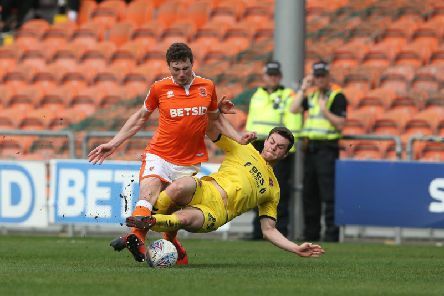 The Gazette's Fleetwood Town writer Rosie Swarbrick analyses the performances of the players as Town lost 2-1 at Blackpool. 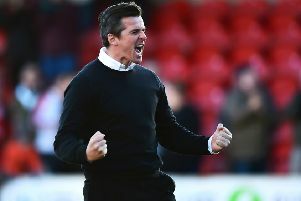 Joey Barton was left frustrated by Fleetwood Town's 'stupid' mistakes as they slipped to a last-gasp derby defeat at Blackpool. 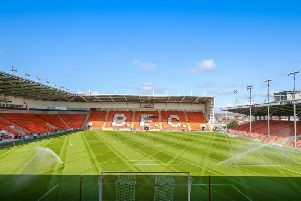 Nathan Delfouneso's injury time goal secured all three points for Blackpool in their derby day clash with Fleetwood Town. 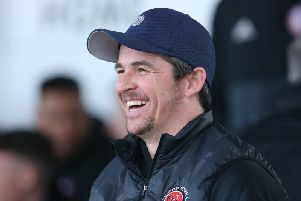 Fleetwood Town boss Joey Barton does not expect this afternoon’s Fylde coast derby to be a pretty game due to the Bloomfield Road pitch. 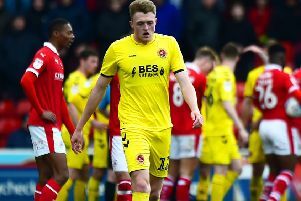 Clint Hill says Fleetwood Town youngster James Hill is in with a shout of making his first league start at dad Matt’s old club, Blackpool. 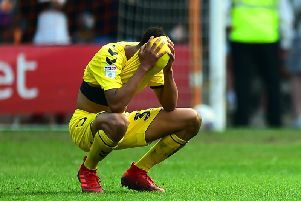 The Gazette's Fleetwood Town writer Rosie Swarbrick analyses the performances of the players in the 1-1 draw with Peterborough United. 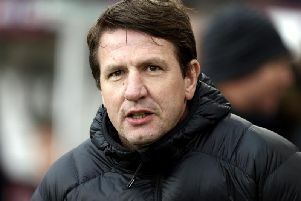 Barnsley manager Daniel Stendel refused to answer any questions about last weekend's alleged tunnel incident involving Fleetwood Town boss Joey Barton when he spoke to the media after his side's 2-1 Good Friday win over Shrewsbury Town. 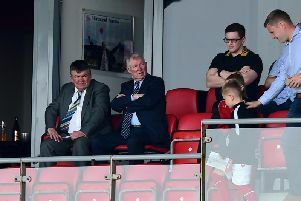 Peterborough manager Darren Ferguson was left cursing a "bad result" after seeing his side's play-off hopes hit by a last-gasp equaliser at Fleetwood in a match watched by his father Sir Alex Ferguson. 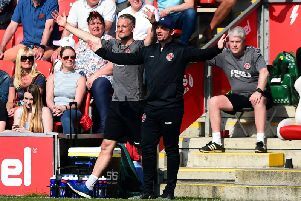 Fleetwood Town first-team coach Clint Hill hailed the fans for their role in the 1-1 draw with Peterborough United as he took the after-match press conference following boss Joey Barton’s alleged involvement in a tunnel incident at Barnsley last Saturday. 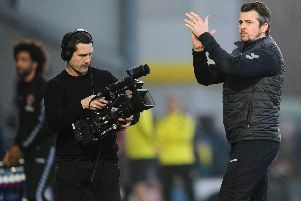 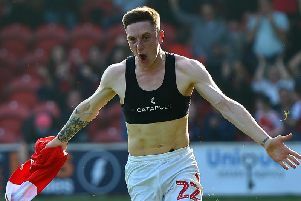 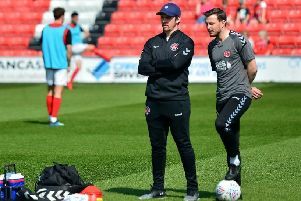 Joey Barton took the dug-out after last weekend's alleged Barnsley tunnel drama and saw Ash Hunter pop up with a last-gasp leveller as Fleetwood Town drew 1-1 with Peterborough United. 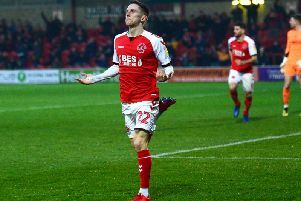 Ash Hunter's last gasp leveller saw Fleetwood Town draw 1-1 with Peterborough United at Highbury. 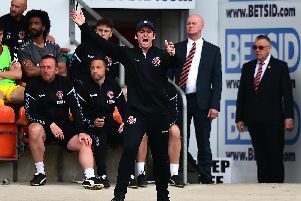 Andy Pilley says Fleetwood Town will reveal the ‘true story’ of the 2018/19 season in a documentary series that will lift the lid on Ched Evans’ near departure to Bolton Wanderers and give an insight into Joey Barton’s first managerial role. Fleetwood Town boss Joey Barton has issued a statement emphatically denying allegations of an assault involving Barnsley boss Daniel Stendel in the tunnel after Saturday's 4-2 defeat at Oakwell. 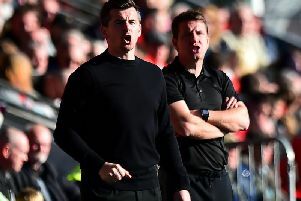 South Yorkshire Police say a man who was arrested in connection to the alleged altercation involving Fleetwood Town boss Joey Barton and Barnsley head coach Daniel Stendel has been bailed until May. 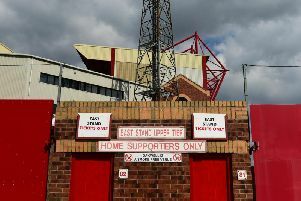 South Yorkshire Police say they can neither confirm or deny whether the man they have arrested in connection with the alleged tunnel assault on Barnsley boss Daniel Stendel is Fleetwood Town boss Joey Barton. 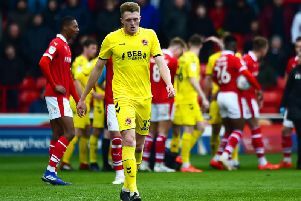 Fleetwood Town have lost their appeal against the red card shown to on-loan Stoke City defender Harry Souttar at Barnsley on Saturday.